How to improve the condition of the soil? It is human nature that whenever we come across a beautiful garden, colors of various flowers or lush vegetation, we wonder if we can create such a beautiful green oasis ourselves. Although there era several factors that are responsible for ensuring a healthy garden, yet the most important is the quality of the soil. So, if you decide to do gardening, you need to take proper care of preparation of the substrate in which the plants will be planted. Do your plants not grow as speculated? Do you think the condition of your soil can be the reason for it? If yes, then it is never too late to improve the condition of the soil. Let's find out how! The perfect soil for plants - is it there? Yes, the perfect soil for vegetation is the one with a crumbling structure, just like lumps. This type of soil is always considered to be the most advantageous because the substrate not only retains the right amount of water, but is well oxygenated as well. Which soil is unfavorable for the crop? Heavy soil is the most unfavorable for crops. It is usually compact because of lack of permeability. The root system suffers in such soil because there is insufficient amount of oxygen in it and the plants cannot take in the required amount of nutrients. Above two examples and soil types give you a clear indication of the type of crop and soil that you can have in your garden. If you have crops that are wildly growing and there are no signs of it changing, then you need not bother about it because everything looks healthy. However, if you are not fully satisfied with your patch of plantation, it is always never too late to take effective measures to improve the condition of the soil. 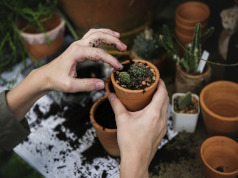 The most essential first aid for the plants is the fertilizers that contain a lot of humus, which improves the structure of the substrate and provide easily digestible minerals to the plants. Apart from fertilizers, you can also use compost as well as manure. The right time for using these nutrients is the early spring or fall. After you have sprinkled them all over your garden, you then need to dig the soil so that the supplements can seep in into the ground. Furthermore, one more option that you have is a peat, which not only improves the soil structure, but also provides too much nutrients to the plants. Multicomponent fertilizer such as Gold Label Soil A & B is considered to be the best mineral fertilizer for plants because it is intended for both flowering and growth stages of the plants. 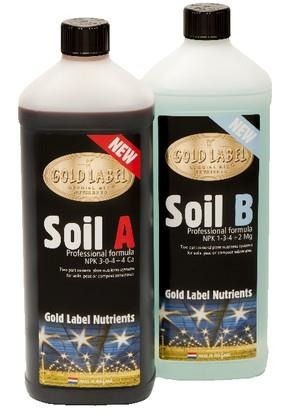 If you need to improve the condition of the soil, it is worth investing in specialized fertilizers, for instance a concentrated root growth stimulator such as Gold Label Roots, which consists of high quality seaweed, biological extracts, amino acids and humic acids. The use of fertilizers is important if you want to have a beautiful, flowering garden. As far as the problems with the soil are concerned, there can be two problems that may occur: too heavy and too light soil. Let us have a look at what these are and what can be done to cure them. The unbearable lightness of the soil! How to change it in favor? Light soil may not seem to be much of a problem because often too hard soil is thought to be problematic. But, if we look at the facts, sandy soil is loose and well aerated, but unfortunately not very fertile. This means that when you water the loose soil, the water penetrates quickly into the deeper layers, and on the way, it rinses out all the additional nutrients that you have supplied to the plant. To improve the condition of such soil, the first thing that needs to be done is to increase the absorbency of the soil so as to improve its ability to accumulate water and nutrients. 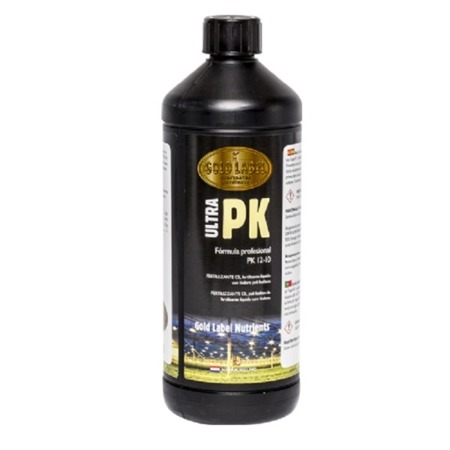 What’s more, you can also enrich the soil with proven fertilizers such as Gold Label Ultra PK and ground clay, along with supplying humus – compost or manure. While using these nutrients, make sure that these are spread with a small layer of about 5 cm on the surface of the earth. Then, you can mix it to the depth, with the help of a shovel. Soil too heavy! What's the way? Heavy soil is mainly loamy and consists of a lot of finest particles. The positive aspect of this kind of soil is that it restricts the penetration of excessive water into the ground, but the downside is that it has little air, as a result of which, plant cannot breathe and consequently rot due to too much moisture. In the spring, it also does not look visually appealing. On top of that, because of too much clogging, the soil slowly heats up and results in delayed development of the plants. To improve the condition of such kind of soil, one thing that can be done is to loosen its structure. We can also add coarse sand (or fine gravel) as well as manure, peat or compost. At the time of mixing the mineral part with the organic one, follow 1:2 ratios and spread the material to a thickness of 10 cm. At the end, blend it in with the ground to a depth of atleast 20 cm. At last, bear in mind that soil is not always perfect. We often need to act proactively to improve its state. Thankfully, we have many ways – be it the usage of natural methods or fertilizers – to change the condition of the soil.